Huddly IQ is an ultra wide-angle intelligent camera system, delivering a natural 150° view with real-time video framing. It is a USB Plug-and-Play device and works with popular collaboration services without requiring the download of extra drivers or integration software. 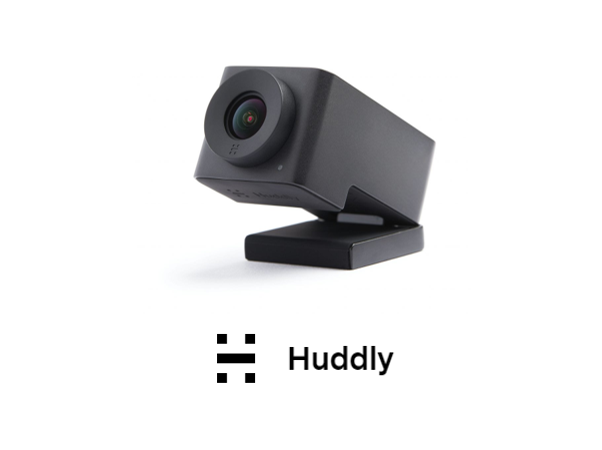 Huddly was designed for huddle spaces and team collaboration, creating the best video conferencing experience on the market today. Smarter video: IQ’s 150° wide-angle lens and studio-quality embedded microphone array deliver an immersive video meeting experience, giving everyone a voice and a seat at the table. HD stereo microphones: A neural engine allows IQ to see, understand and respond to its environment in real time. With the Genius Framing feature, it can detect the people in its field of view and respond by automatically framing them. Advanced data: IQ gives organizations crucial insights into how their meeting spaces are being used, with high-quality analytics data accessible via the Huddly InSights API. Analytics on board: With Huddly’s unique single-lens, multi-stream functionality, IQ detects and counts the people in the room in real time. This analytics data can then be securely shared with management dashboards.